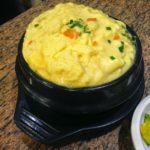 there lots of side dish come along. 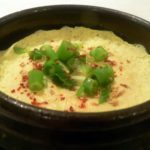 you can refill it whenever you want. 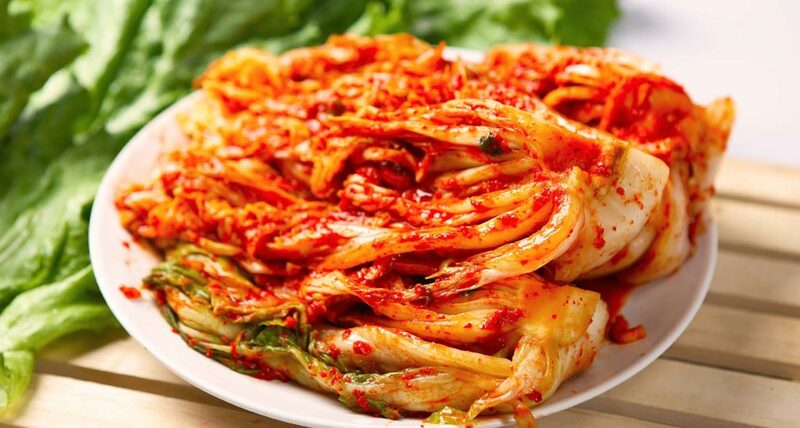 Kimchee or gimchi, is a traditional fermentedKorean side dish made of vegetables with a variety of seasonings. 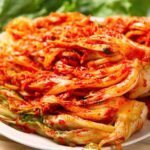 In traditional preparations, kimchi was stored underground in jars to keep cool during the summer months and unfrozen during the winter months. 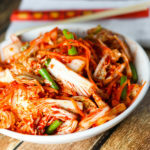 There are hundreds of varieties of kimchi made from napa cabbage, radish, scallion, or cucumber as the main ingredients. 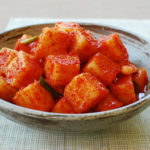 Kkakdugi is a variety of kimchi in Korean cuisine. 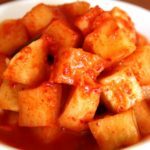 Usually, it has all the ingredients of kimchi, but the baechu used for kimchi is replaced with Korean daikon. 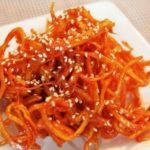 Kkakdugi is a popular banchan enjoyed by Koreans and others. 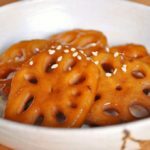 Yeongeun (lotus root) jorim (reduced) is one of the basic, every day banchan (found at home tables and restaurants. 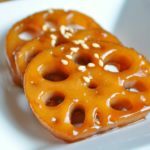 It is a simple dish of sliced lotus roots boiled then reduced in soy sauce and corn syrup. 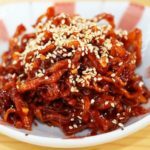 This entry was posted in Activity & Local Culture, Culture and lifestyle, FOOD and tagged Banchan, Dining, dining in Korea, dining in Seoul, Food, food in Korea, food in seoul, Gimchi, Gyeran jjim, Kkakdugi, Korea, Korean, Korean Side dish, Ojingeochae bokkeum, Seoul, Side dish, south korea, ‪‎travel, ‪‎traveling‬, trip, Yeongeun jorim.